Where I go to come out of the closet. I recently grabbed the Stila Stay All Day 10-in-1 HD Beauty Balm Trio because I’ve been trying out new BB’s and these three are on sale at Ulta for only $12 for 3 small sizes. It comes with a plain BB, an illuminating one, and a bronzing one. 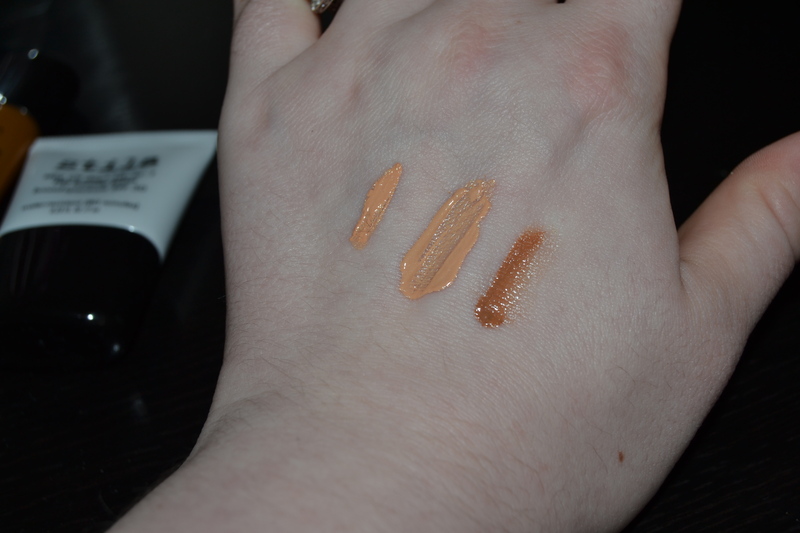 I personally really like BB’s when I’m looking for more sheer-medium coverage. I use them on my day off, while I’m running errands, etc. Most true BB creams come in one shade that are meant to be blended and buffed into the skin until it matches with your skin tone. I was not able to do that with any of these. They were just too dark for my ridiculously pale skin. I thought that maybe I could use the bronzing to contour, but it had too much of a sheen to it for me to be able to use it for that purpose. The original formula also didn’t have the buildable coverage that some of my favorite BBs have without giving me a weird orangey glow. It also did not have the wear time of many of my other BBs. I see this as more of a tinted moisturizer where I usually go for heavy duty BBs. If I was going to purchase one, I would get the illuminating, but I tend to favor a more matte look since I have oily skin, so these will be going back to the store sadly. I much prefer NYX’s BB formula or Benefit’s Big Easy which I will review later. I have one more concern that I can’t seem to find additional info on. I have been reading up on micro beads and micro spheres and how bad they are for the environment. Most are made from plastic and are so small they get into our water, but I can’t find if the spheres in this product are plastic or just something just used to market the product as innovative (or both). 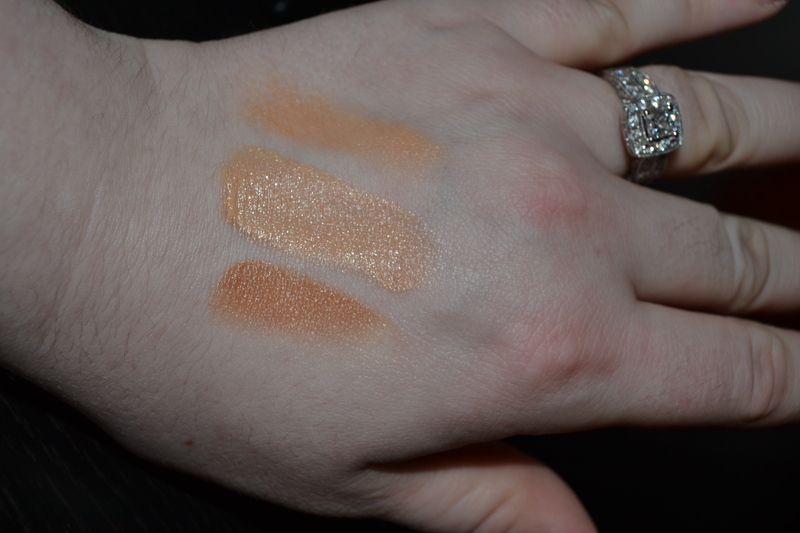 L to R: Original, Illuminating, and Bronzing. This second photo is when I just started to blend them into my skin. Please let me know if you have any info on the micro-spheres in this product as well!